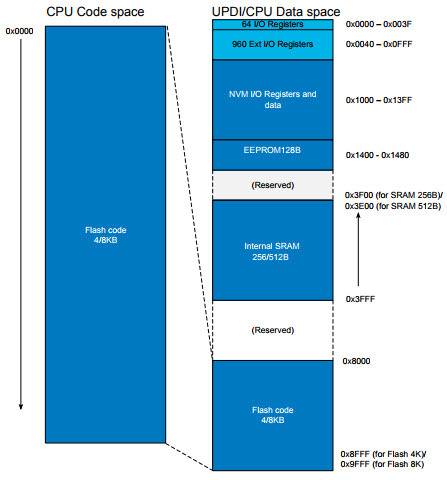 On tinyAVR® 1-series devices, access to Flash memory and EEPROM has been changed from that on previous tinyAVR devices. This means that existing code for writing to Flash and EEPROM on older devices must be modified in order to function properly on tinyAVR 1-series devices. This application note describes what has changed and how to adapt code to these changes. This entry was posted on Sunday, January 21st, 2018 at 1:00 pm	and is filed under app notes. You can follow any responses to this entry through the RSS 2.0 feed. You can skip to the end and leave a response. Pinging is currently not allowed.